The finest whole grain brown rice yields the freshest, most nutritious rice cakes. 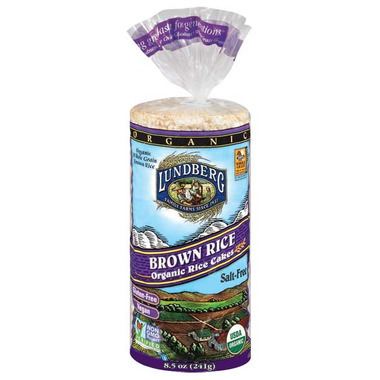 Lundberg mills the brown rice and then pops it into rice cakes right on the farm. That's why these whole grain brown rice cakes are so fresh and flavorful! This is delicious. But very heavy on the stomach. Too bad because it was the best tasting. First, the bad part: Yes they are a bit crumbly. Love these rice cakes with almond butter and mangoes in the morning. Would have given them a five star but I wish they were less crumbly. Perfectly crunchy, and I love that they are more substantial than the regular Quaker rice cakes. I will buy again! These rice cakes are a bit crumbly but they hold together very well.when I spread them with a nice creamy peanut butter! 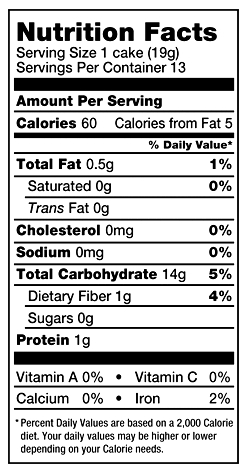 They are more flavorful than other rice cakes I've tried. Taste great but crumble too easy, I end up sprinkling the crumbles on top of my spread. But not so pack able in my four year olds lunch. These are my favorite rice cakes! So flavorful with just the right amount of crunchiness! They are more expensive than the regular ones you can get at the store...but they are so worth it! My favorite way of enjoying them is with raw almond butter and some mango! Hum!